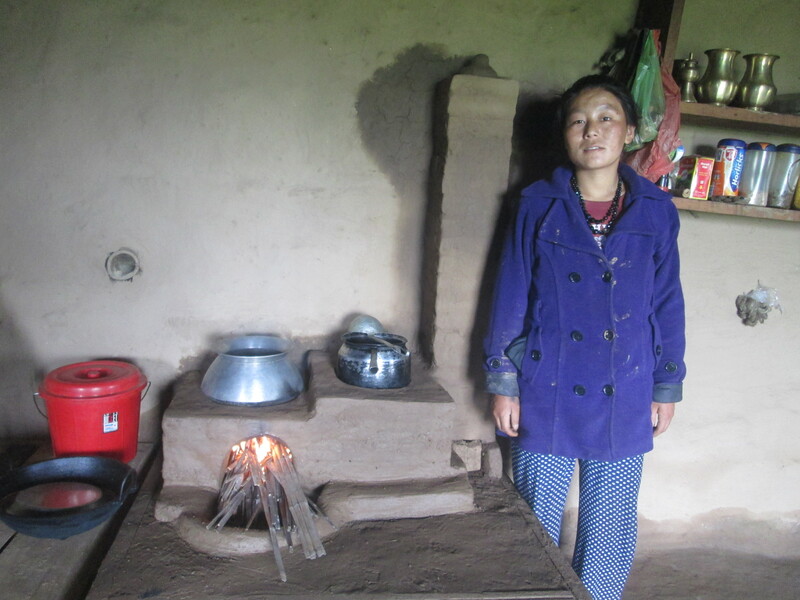 Narita, one of our stove masters from Chheskam, in front of her new Improved Cook Stove! 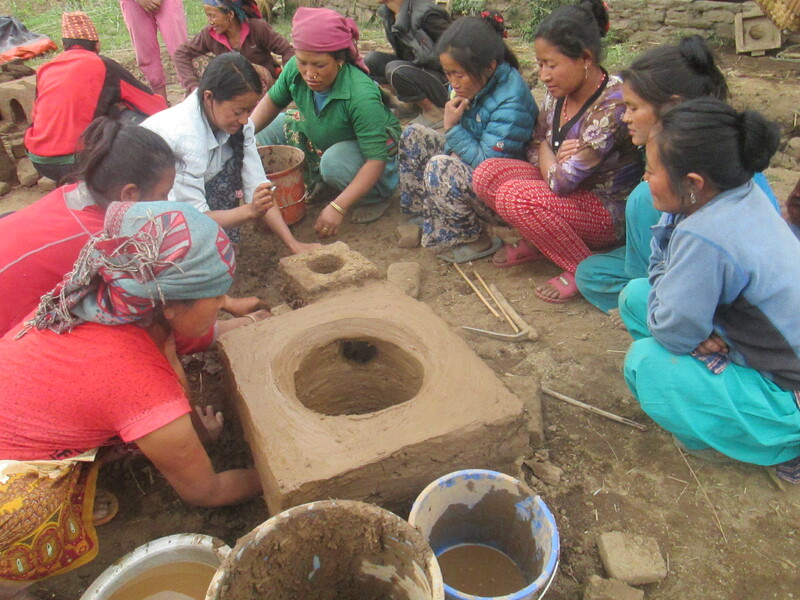 Improved Cook Stoves (ICS) is our newest program in Nepal. Like all of our projects, we started it after the community showed a lot of interest in adopting a new stove design. 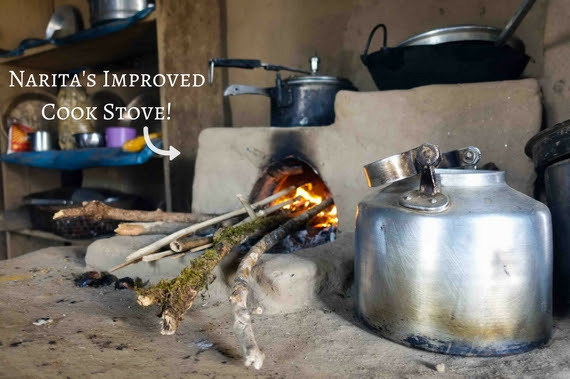 In 2017, after communities from Gudel and Chheskam repeatedly requested support to build smokeless indoor stoves, we launched a small pilot ICS program to determine its feasibility. We trained 40 people mostly women from these two communities to make these stoves and they became stove masters for their neighborhood. 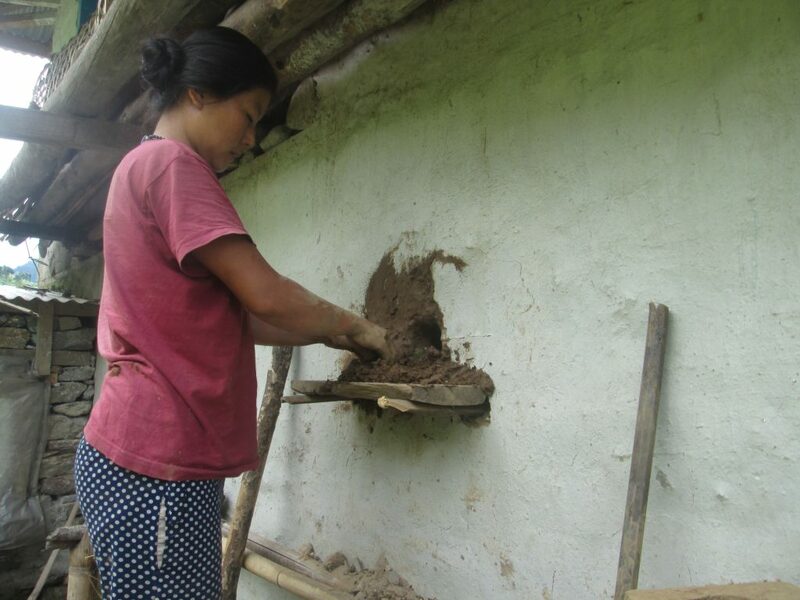 They first built stoves in their own homes following the training and used them for several months. 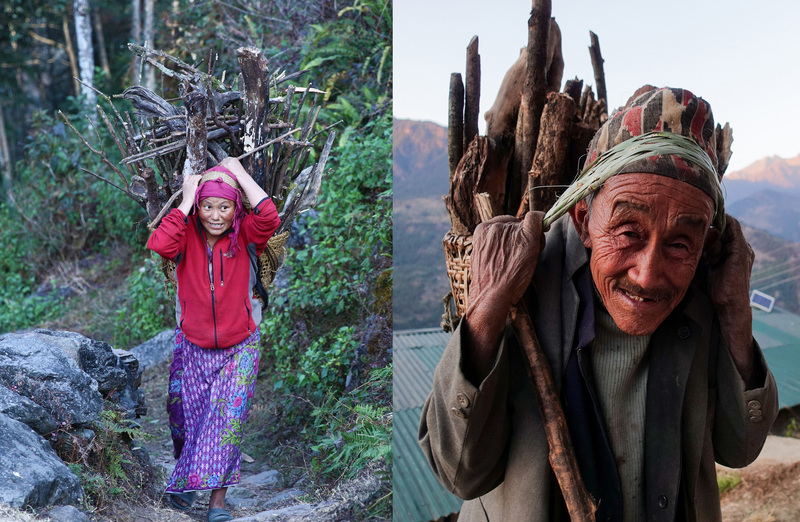 Traditional open fireplaces drastically impact public health across Nepal. Constant exposure to smoke can cause lung and eye disease, low fuel efficiency from cooking over an open fire leads to rapid deforestation, and kitchens require constant cleaning from excessive smoke and soot buildup. Constant exposure to smoke from traditional open fireplaces like this one in Lidhunga drastically impact health, with women and children being the most affected. Improved Cook Stoves use less firewood than traditional stoves, easing the burden for many community members. 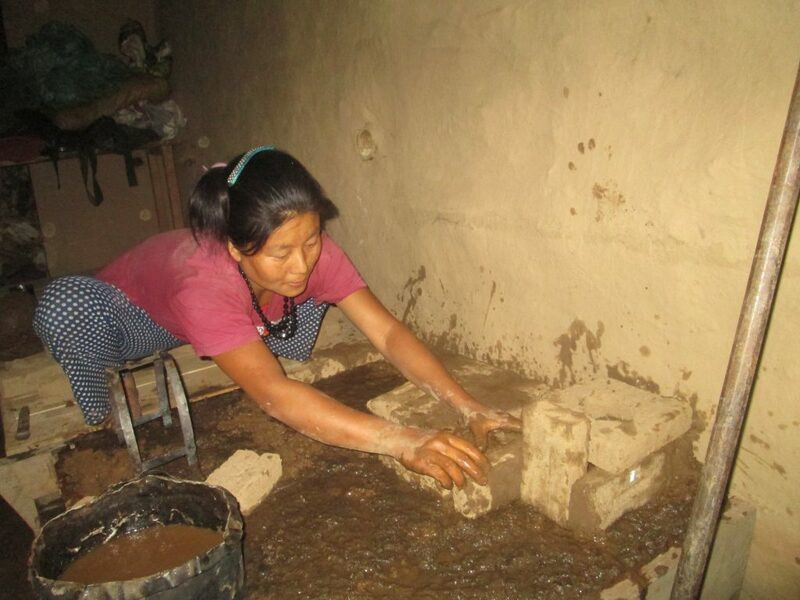 The stove masters all had a positive experience using the new stoves for several months. They report that there is far less smoke in their homes, they have noticeably fewer headaches and eye pain, and their kitchens are much cleaner. Narita and others were also excited that the stoves use much less firewood while cooking food faster than traditional designs. They shared that it was also easier for their children to read during meal time since they no longer have to cook in the home’s common room. Community members showed growing interest in the ICS program during the pilot phase, especially after observing the new stoves in use in their neighbors’ homes. Stove master training during the pilot ICS program. At the end of 2017, we formally partnered with the communities of Gudel and Chheskam to help them transition to indoor Smoke-Free Villages. 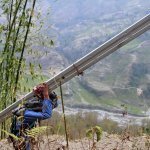 As part of this program, we will support the construction of 400 new ICS in Chheskam and 800 in Gudel by the middle of 2018. 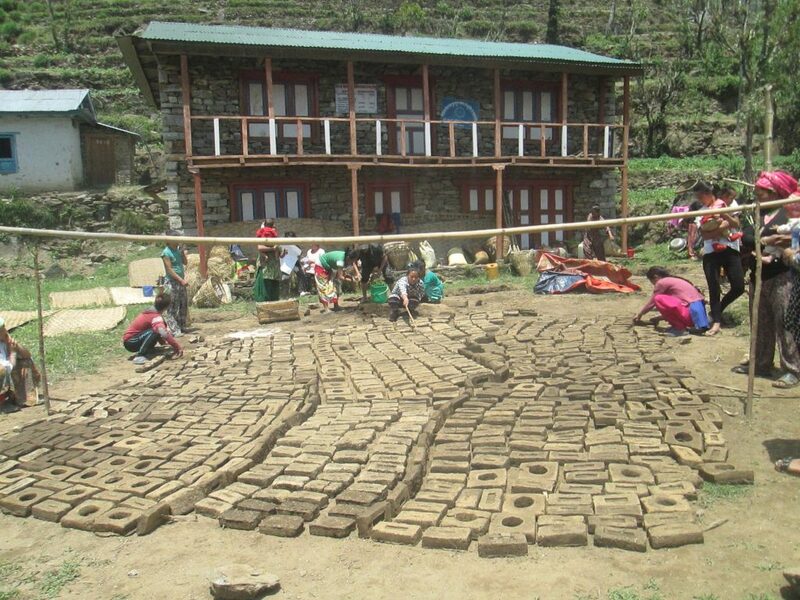 Our local stove masters will build all of these stoves, providing them with much needed income for a period of time. A local stove master at work! A stove master in Gudel in front of her new stove! The ICS design that we adopted is based on a popular government design, which dZi technicians modified slightly to best suit our project areas. It uses almost exclusively local materials, such as mud, sugar, and jute. The iron fire gate is simple enough that local blacksmiths can make it. 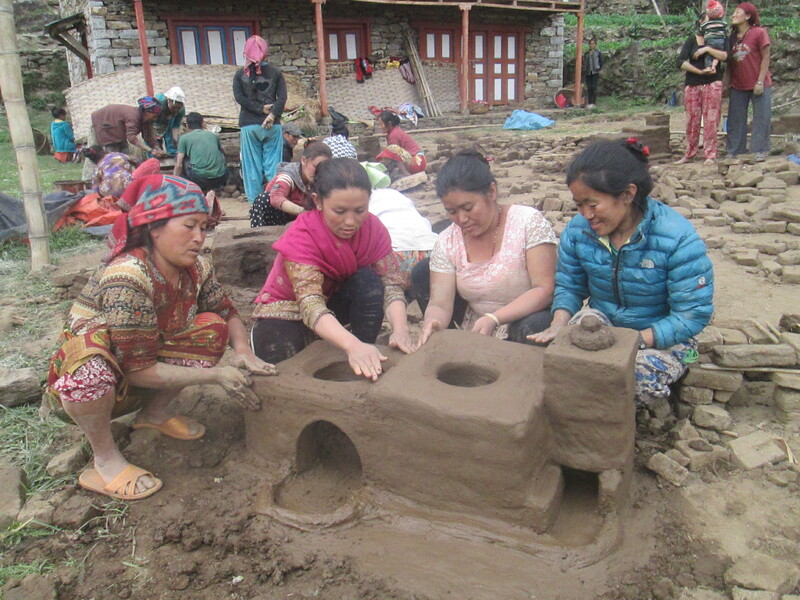 Since learning how to build her new stove, Narita – one of our stove masters from Chheskam – has helped 15 neighbors build their own. 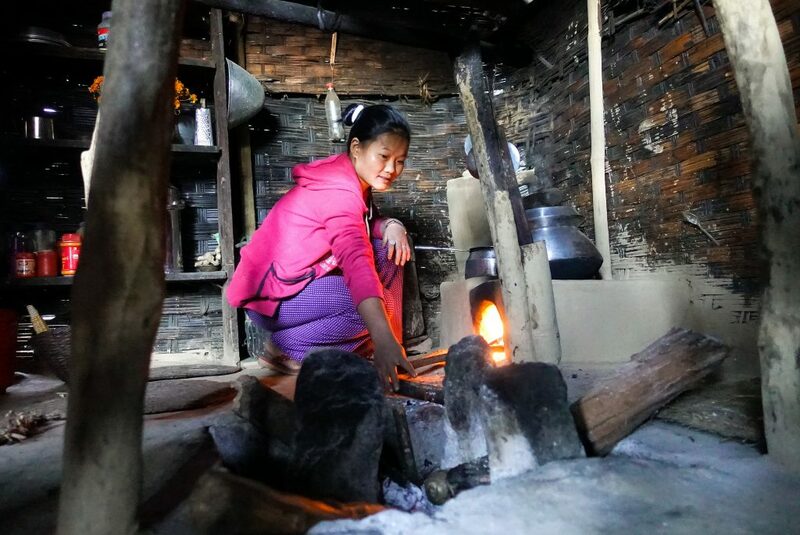 Stove masters like Narita are currently leading their community’s transition to using safer stoves, while also earning income to support themselves and their families. With this simple intervention, Narita and her children are saving time, earning more income, and living healthier lives. 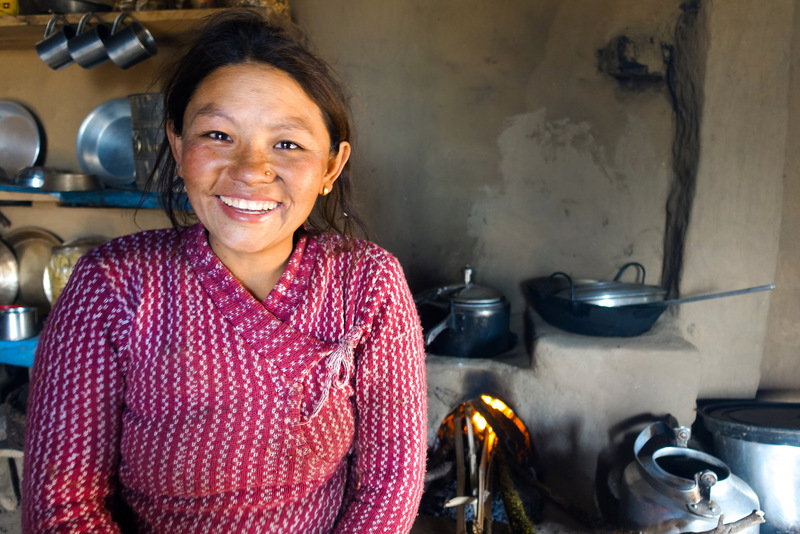 One unexpected benefit remains – now that Narita can cook a hot breakfast for her children faster than she could with her traditional stove, her children can more easily make it to school on time! We are excited to see this program unfold. Keep following us on Instagram and Facebook to see how this indoor smoke-free initiative will impact our community members in the months to come! A young stove master in Gudel demonstrating how to use her ICS. Photo by Abiral Rai. Previous Visioning – Shared Dreams For A More Prosperous Community! 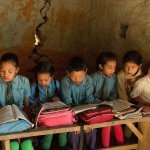 Next 3 Years of Nepal Earthquake!